Earlier today two key British cave rescuers flew out of the UK, bound for Thailand. These highly experienced personnel will perform a co-ordinating, surface control function. 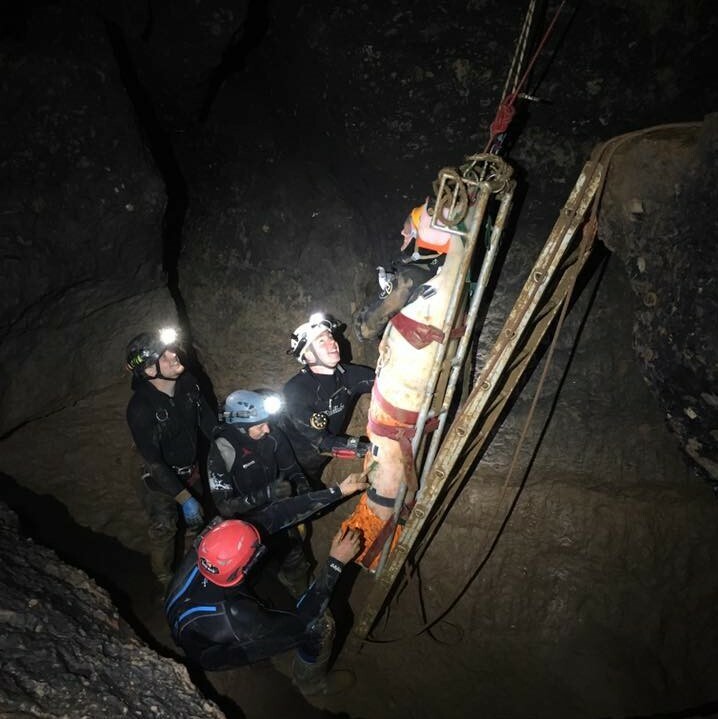 The UK has a long history in cave rescue with some of teams being in existence for more than 70 years across the UK and Ireland. The British Cave Rescue Council supports 15 cave rescue teams, and those joining the Thailand cave rescue attempt are from a number of BCRC-supported teams, each with skills, knowledge and expertise to add to the current efforts. In the UK when the decision is made to deploy a cave rescue team, a number of further decisions have to be made and a 'Surface Control' team is needed. A 'controller' or 'warden' will take overall control at the site for the duration of the rescue and directly liaise with the cave diving team. Surface Control's primary role will be to look after the cave diving team, ie they will implement and manage the requests the cave diving team make. Cave rescues can be quite stressful and part of it is because of the hostile environment. The rescuers are operating in total darkness where it is cold, muddy and there is often quite a lot of water involved. These factors can compound the severity of the situation. There is the potential for miscommunication or a “lost in translation moment” when cave divers directly liaise with the authorities and visa versa. There is a world of difference between an air cylinder and an oxygen cylinder. An added complication at this site is that there are a mix of DIN and A Clamp / international valves fitted to the cylinders. It is absolutely no reflection on any of the personnel involved with the Thai cave rescue, but it is possible for a vital request made by one party to be considered trivial by the other party. By having surface control specialists in place, this stops any ambiguity and removes unnecessary stress from the cave diving rescuers. The surface control team acts as a linch pin liaising with the Thai authorities to ensure everyone is on the same page. The surface control team will then relay the information through to the divers. This frees up the divers so that they know the information they receive is in the correct terminology. In the meantime that has been a new initiative to divert streams and rivers from any inlets identified above Tham Luang Cave (sinks and fissures) to reduce the underground water flow rate. 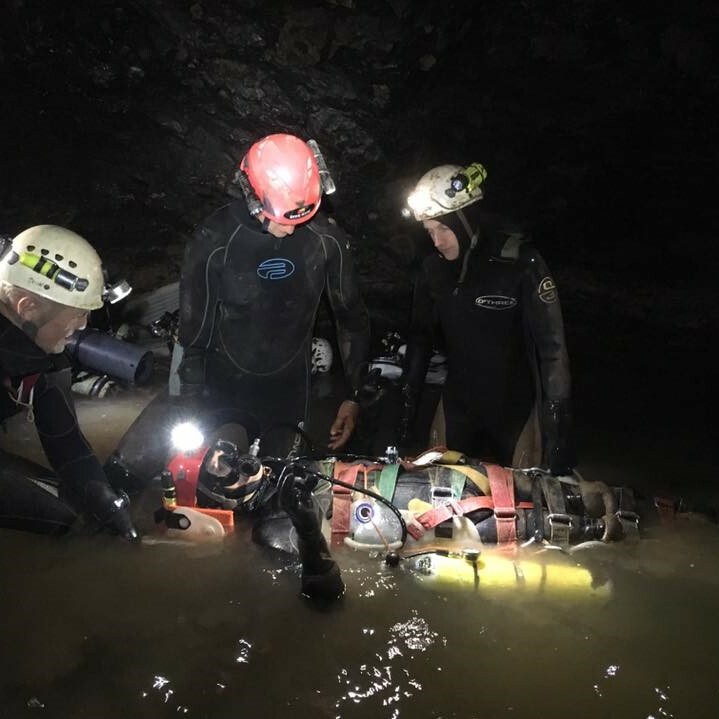 This is an established practice in cave rescue and has proven effective in cave rescue efforts associated with other river caves, not least for Ogof Ffynnon Ddu (OFD) main streamway in South Wales when cavers become trapped underground during flood. 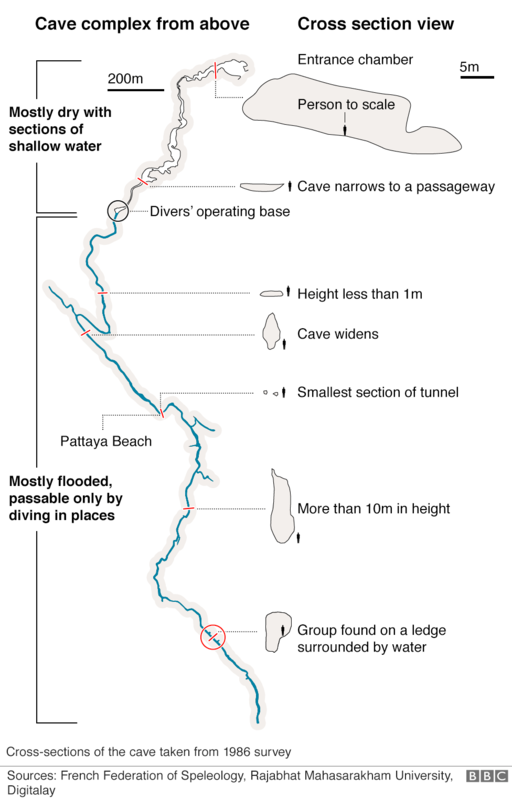 In addition surface searches continue for alternative routes into Tham Luang Cave. 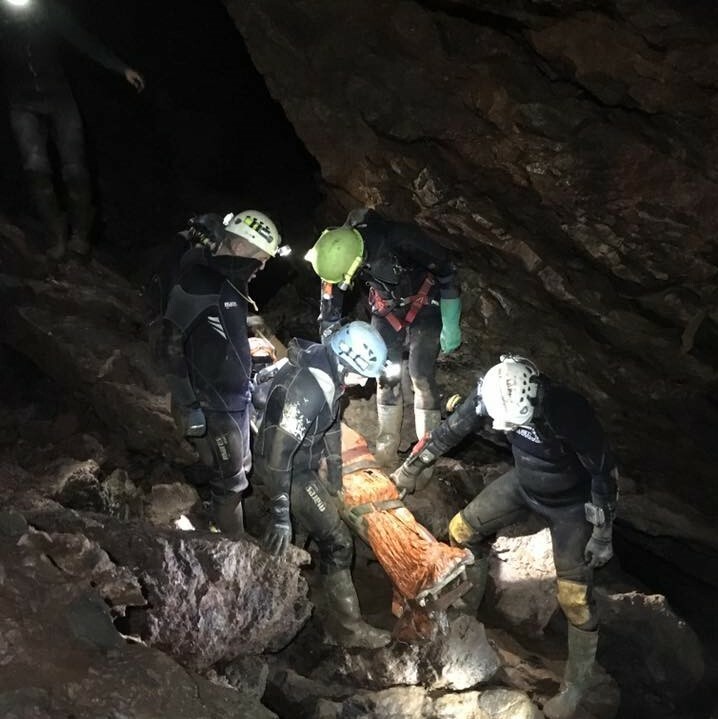 A spokesman for the British Cave Rescue Council stated "we are grateful for the support received from several UK Search and Rescue (UK SAR) partners who assisted with the logistical tasks to get people and specialist kit on flights." Many companies have quietly assisted with this rescue mission behind the scenes. This includes Thai Airways. The airline has flown out all the rescue equipment and the rescuers free of charge. Whilst you would think this would be standard operating practice, this does not always happen. Charitable rescue organisations such as the British Cave Rescue Council are generally not that well funded. If you feel that you wish to make a practical difference, please consider donating to this charity. The money will be used to support future cave rescues, ie purchase valuable equipment such as the Heyphones. What are tests indicating fish possess higher cognitive powers really showing?